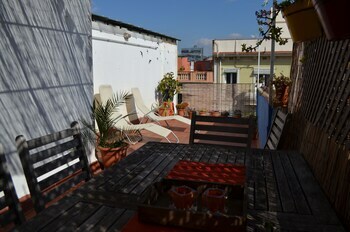 Located in Barcelona (Gracia), this apartment is within a 10-minute drive of Casa Batllo and Casa Mila. With a stay at Malaga 101395 3 Bedroom Apartment By Mo Rentals in Malaga (Carretera de Cadiz), you'll be within a 15-minute drive of Malaga Cathedral and Picasso's Birthplace. With a stay at Best Da Vinci Royal, you'll be centrally located in Salou, within a 15-minute drive of Llevant Beach and PortAventura Theme Park. Self parking (subject to charges) is available onsite. When you stay at this apartment in Arona, you'll be near the beach, and a 2-minute walk from Los Cristianos Beach and 7 minutes by foot from Las Vistas Beach.